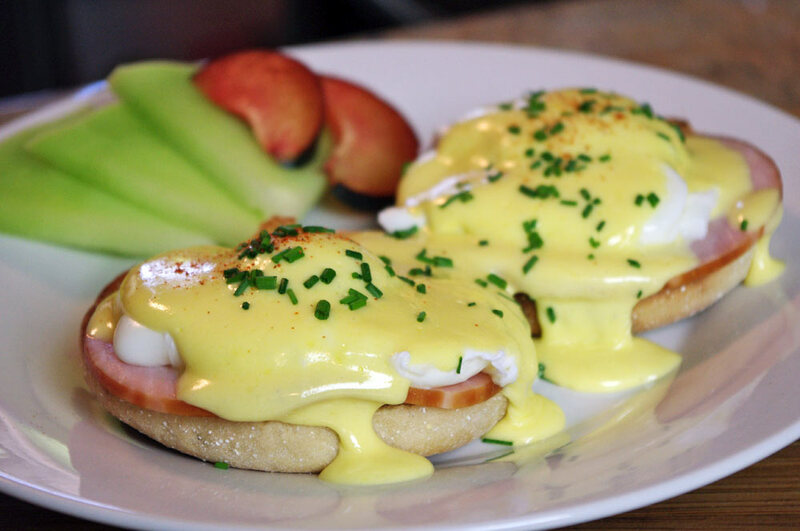 Gently poached eggs over toasted English muffins and grilled Canadian bacon, all topped with creamy, buttery Hollandaise sauce. Eggs Benedict might sound like a daunting dish to make, but it’s actually quite easy. 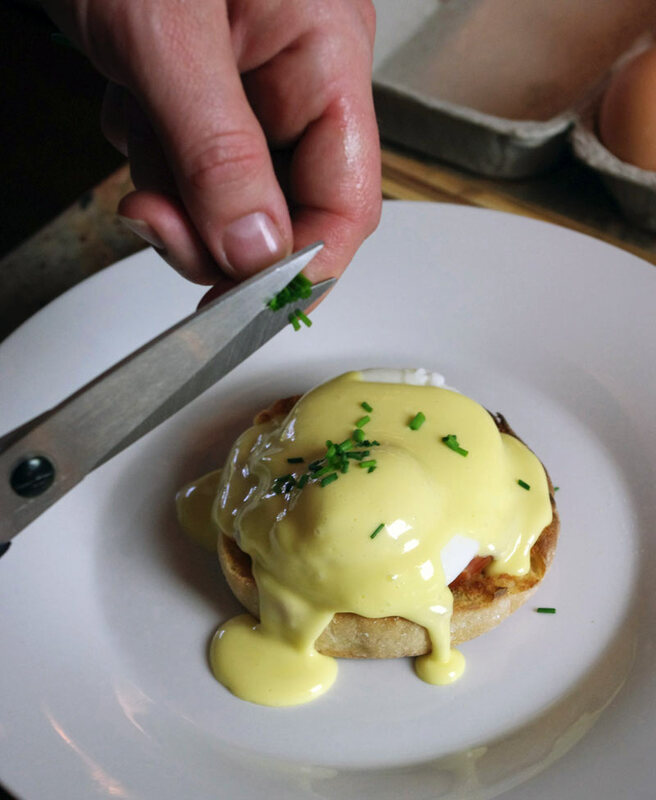 This step-by-step picture guide should give you everything you need to know, including directions for making a delicious Hollandaise sauce right in your blender. 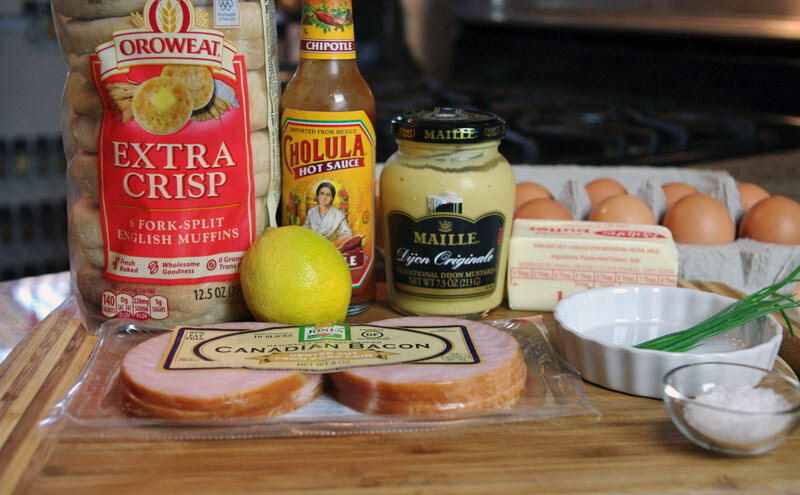 These are the ingredients you’ll need. Melt 1/2 cup butter in the microwave for about 30 seconds. 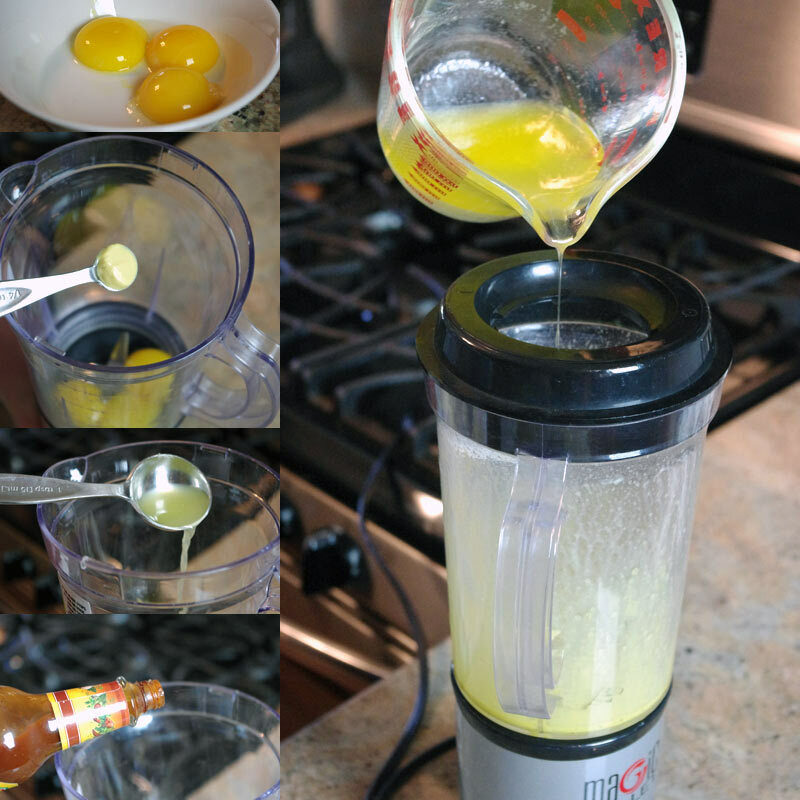 To make the Hollandaise sauce, place the egg yolks, mustard, lemon juice, salt and hot sauce in a blender. Pulse for 5 seconds. Slowly stream in the melted butter, pulsing until completely blended. 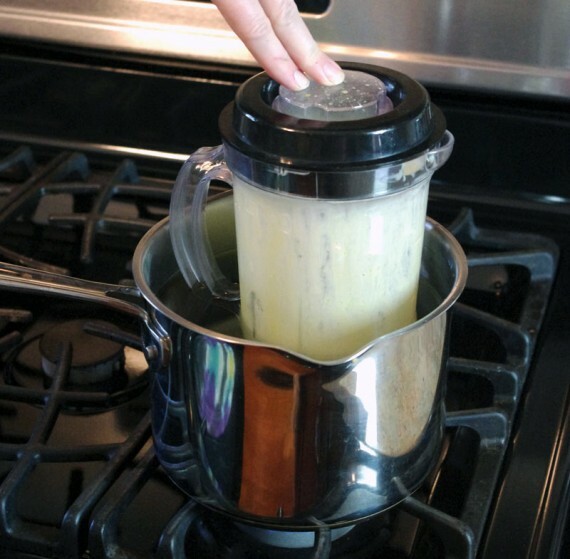 Keep the Hollandaise sauce warm by placing the blender jar in a pan of hot water. Heat up and brown the Canadian bacon slices. Using a safety pin, carefully prick a single small hole in each egg. 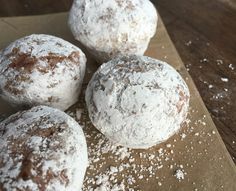 This is a trick I learned from Julia Child. It will help the poached egg hold it’s shape in water without having to use vinegar as so many other recipes suggest. 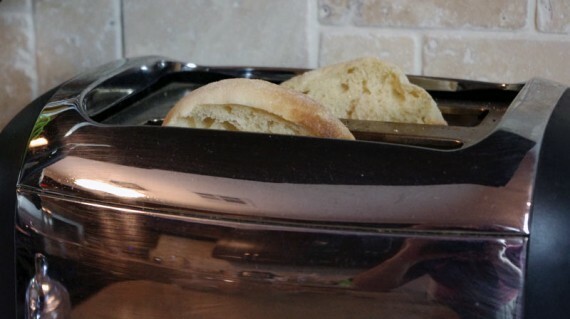 Fill a medium pan about 2/3 full of water. Bring to a rolling boil. 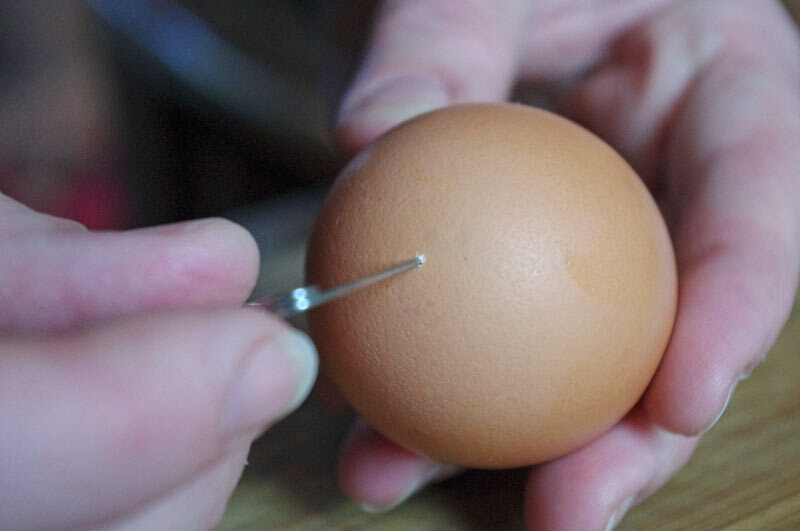 Place the eggs in boiling water for only 10 seconds. Remove from water. Reduce the heat to a gentle simmer. Carefully crack the eggs into simmering water. Allow eggs to poach for 2 1/2 to 3 minutes and remove with a slotted spoon. Transfer to paper towel to remove excess water and any hanging strands of egg white. 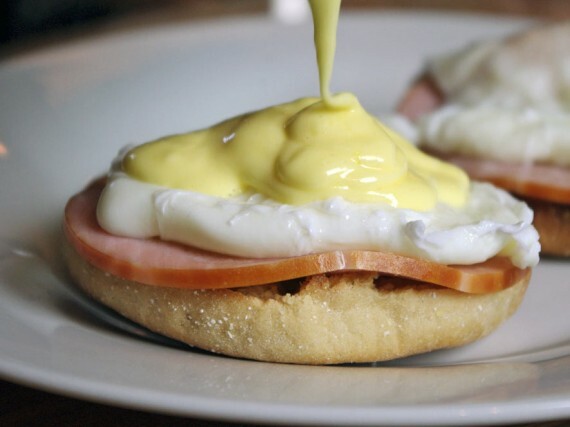 Pour a generous amount of Hollandaise Sauce over each poached egg. Garnish with freshly chopped chives and a sprinkle of cayenne pepper. 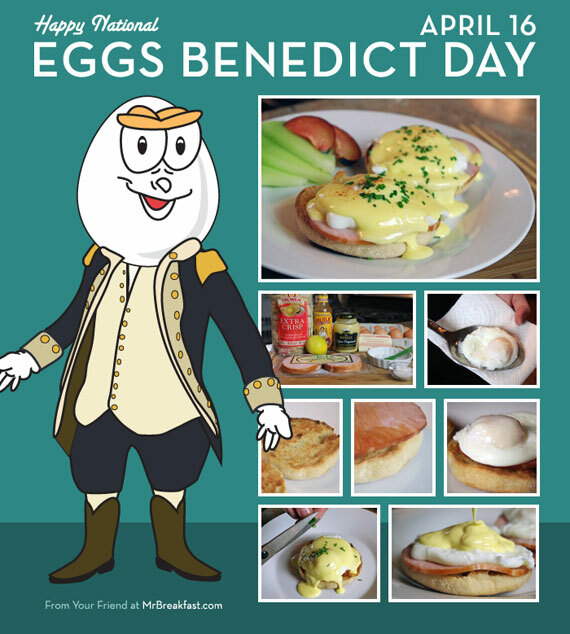 Celebrate National Eggs Benedict Day on April 16th every year! 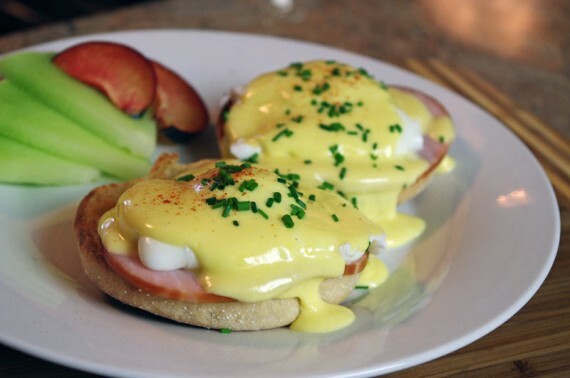 I’ve made eggs benedict with home made hollandaise for years. The egg poaching has always been my weak spot. EXCELENT tip about poking a hole in the shell and par boiling!! Hi Loren – I’m so glad you found that helpful. 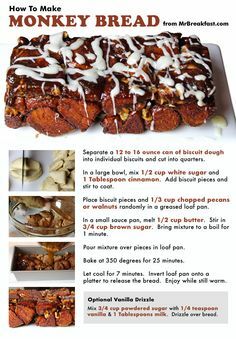 Thank you so much for this and all your great recipes! Great tip. Thanks for that! Hubby and I are currently in Ogunquit, ME on a brief vacatio nwhen I decided to look for a good breakfast place..however sometimes you get so much extra to read and check out. 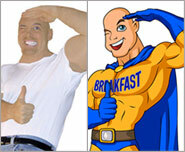 This site came up (Mr. Breakfast) and I love it..it is professional and so well put together (love the pics. 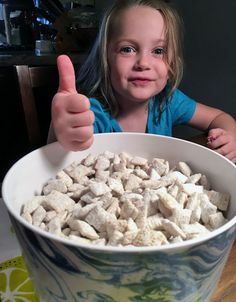 There are great tips and recip..this site is great a definite keeper!! Thanks so much. I’m very happy that you found the site. Tell your hubby that I say hi.